Spring is almost here! Now is the perfect time to look for an outfit for Easter or any spring event. From now until Sunday, March 3, I'm collaborating with my friends at Kayce Hughes for a special trunk show open to Maryland Pink and Green readers. Here are some of my favorite picks from Kayce Hughes' newest collection. First on the list is the Willa Ruffle Dress. The pretty pink color is a perfect choice for spring and the ruffles are gorgeous without being too cute. The Lyndal Dress is another fantastic option. I love the look of the crisp white denim and with the pineapple trim print. Details such as blue piping on the tie sash really add flair to this dress. Gingham is always a wonderful look for any occasion. The Basic Button Down Dress is an excellent transition piece for early spring. 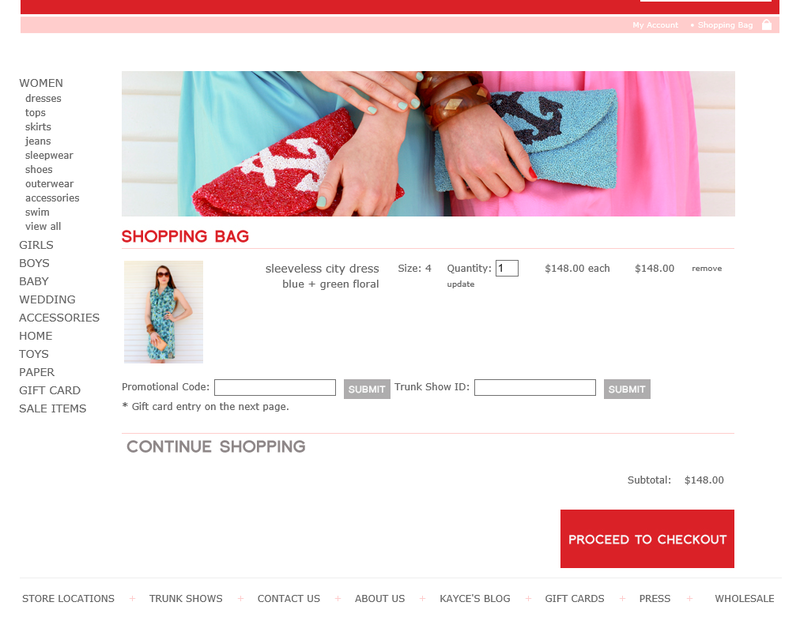 I also like the red, white, and blue look for patriotic holidays like Memorial Day. The Goodman Dress is based on a vintage style. The grosgrain trim and elastic waist make this versatile dress comfortable and classic. My minnies want the Sleeveless Tunic Dress in the Pink Pineapple print. It's a style that is very grown up for tweens, but the classic style makes moms smile. 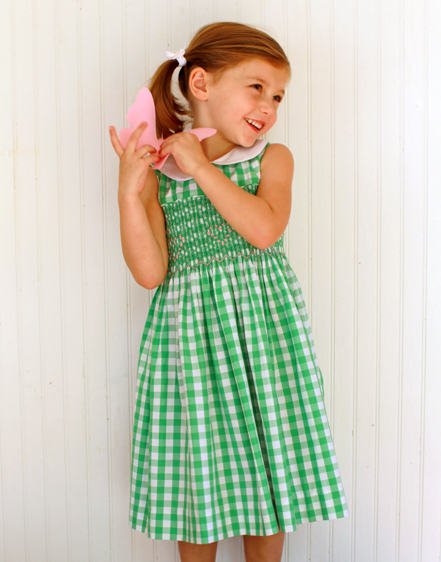 The Party Dress with Heart Smocking is an adorable choice for your favorite little girl. There's something about little girls in smocked dresses that melts my heart. As a special treat for Maryland Pink and Green readers, Kayce Hughes is offering free shipping with your purchase of $200 or more. Simply enter the Promotional code: maryland and Trunk Show ID: 76165 to take advantage of this opportunity. I love the Willa Ruffle!